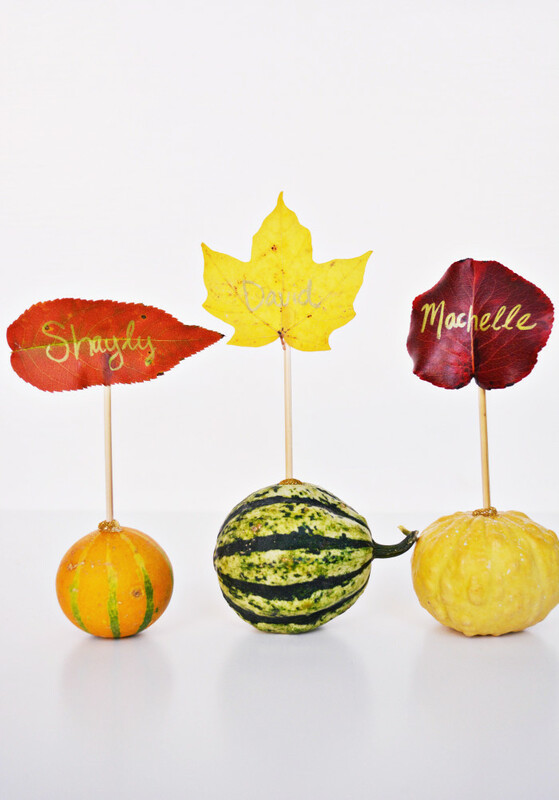 To be honest, as I am sitting here typing these instructions to this autumnal craft I am seriously wondering why I am spending my time posting about a Thanksgiving place card. I really am reeling from the tragedy in Paris and other heartbreaking and stressful events that have happened over the last week and a half. If I am posting a fun little DIY does that mean that I am not properly acknowledging what has happened? How can I possibly be posting about something so meaningless? Am I allowing my regular activity and desire to get my projects done interfere with the need to fully process things and work through my anger and pain? Frankly, sometimes I just want to scream “Why are we pretending like life is the same and that things are ok when they clearly are not? !” And lately I have felt the urge to scream much more frequently. This is mainly because I have felt pretty powerless and I hate that feeling. Who doesn’t? Well, my early New Years resolution is that I am going to come up with ways to make an impact, however small, and help increase the light in the world. I am not sure how I will do that yet but I am committed to making sure that the routine of life doesn’t cause me to forget recent heartbreak. Darkness cannot drive out darkness: only light can do that. Hate cannot drive out hate: only love can do that. 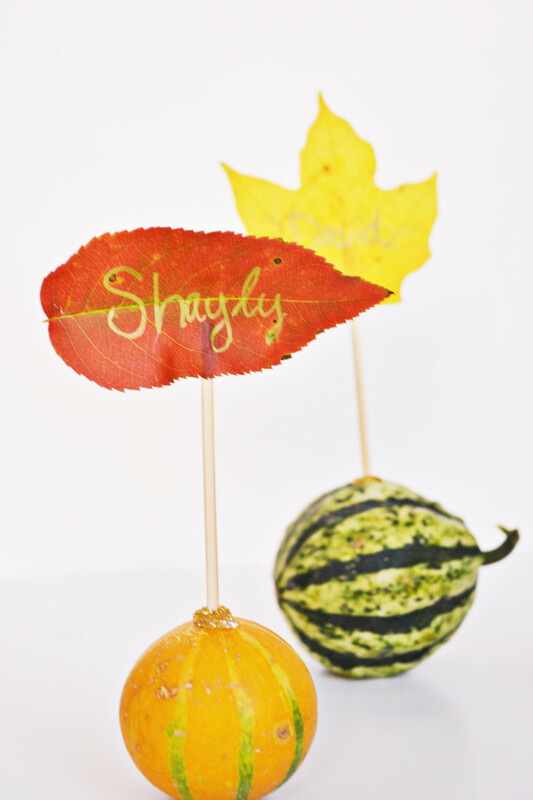 – Martin Luther King, Jr.
And for those of you who came to this blog today to just see the latest craft, please click below for instructions on how to make these fall place cards! 1. 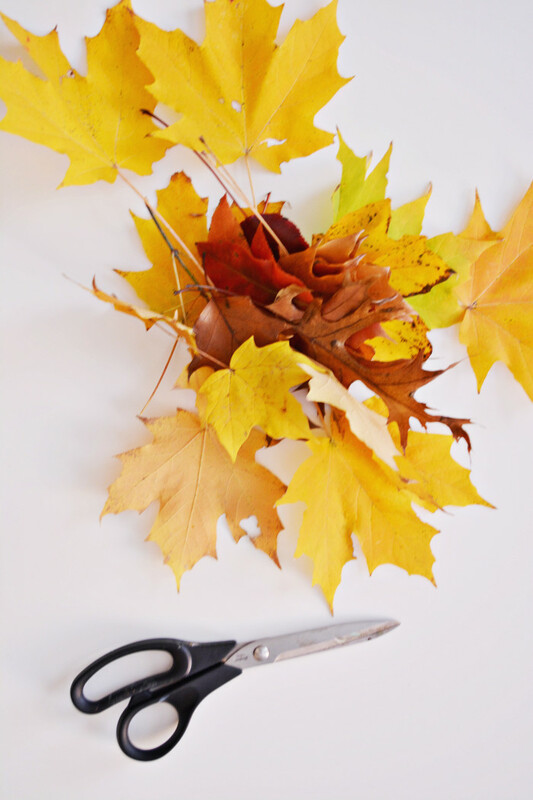 This is the best step – go for a walk outside and collect all the fallen leaves you see! 2. 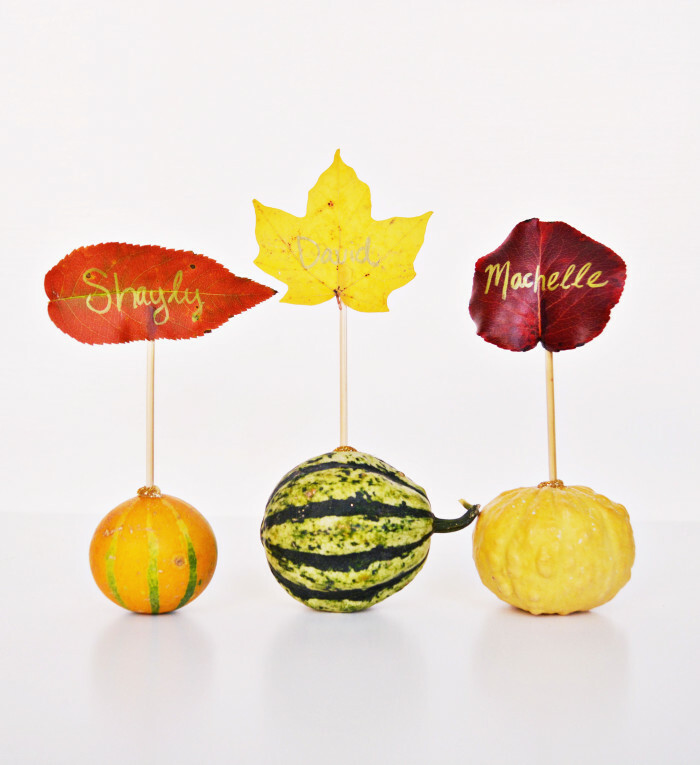 Pick your favorite leaves and write the names of your guests on individual leaves with a gold pen. 3. 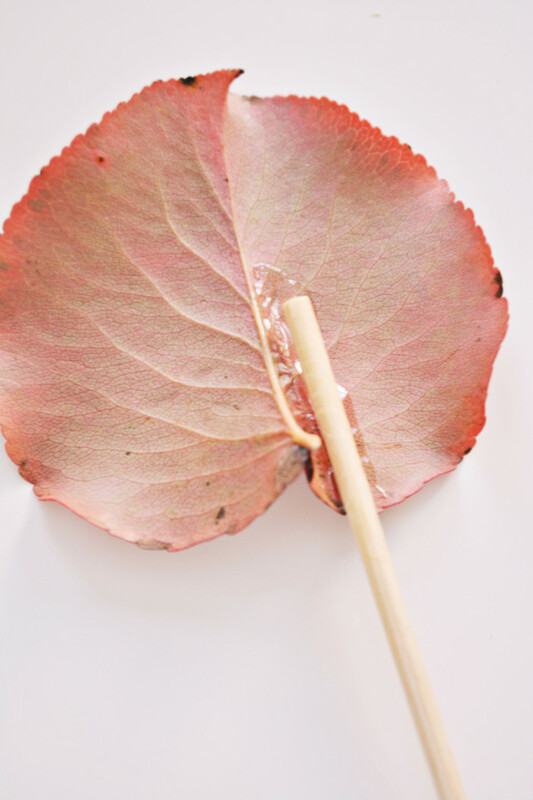 Use hot glue to secure a small wooden dowel to the back of the leaf. 4. 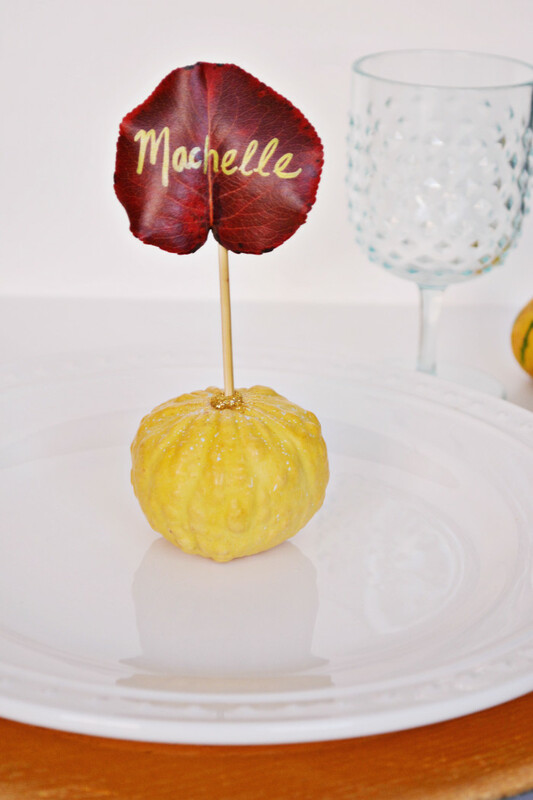 Once the glue has dried, cut the dowel to your desired height (I cut a little more than half the length) and use hot glue to secure it to the top of a small gourd. 5. 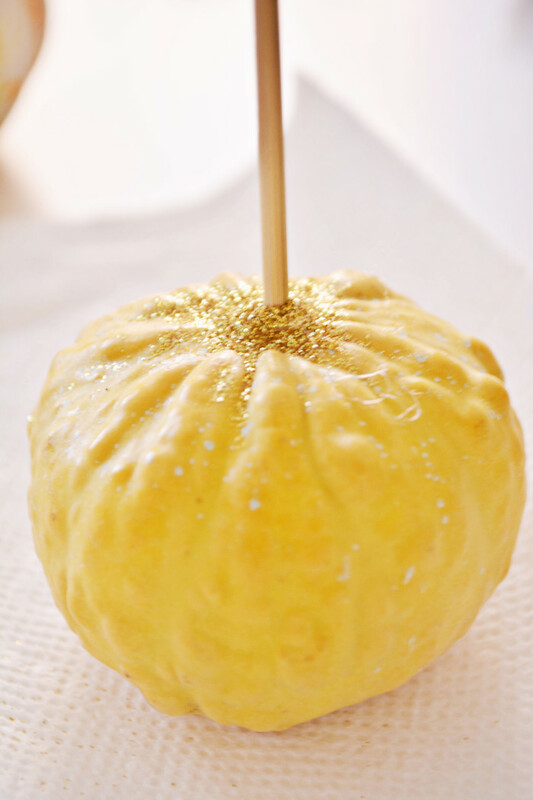 Since it takes a medium amount of glue to fasten the dowel to the gourd, I added some glitter to the top of the glue to cover it up and make it a bit prettier. 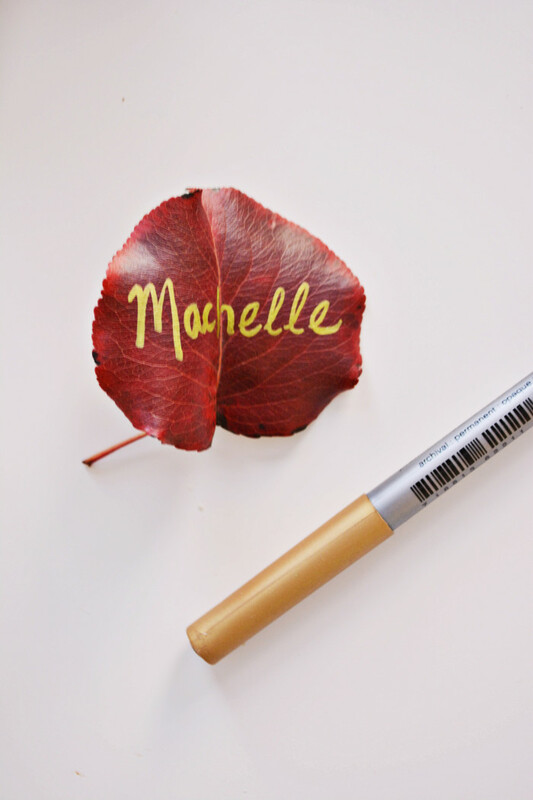 Not much makes me happier than the stunning colors of autumn! Fall is absolutely my favorite season and I am constantly blown away by the beauty of the earth during fall. It only makes sense to add that beauty to your table setting. We are all feeling that pain Malissa and feel powerless. Not letting the darkness consume us is the most important thing we can do.